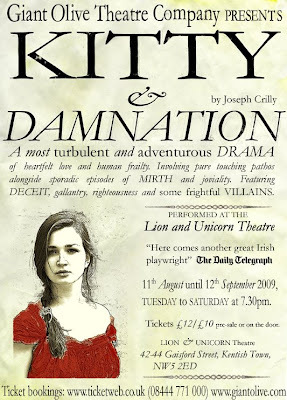 After the success of his recent adaptation of the fairy tales of Hans Christian Andersen, m’brother Rafe has now directed a new play, Kitty and Damnation by award-winning playwright Joseph Crilly. The show opens tonight and runs until 12th September 2009, Tuesday to Saturday at 7:30pm. You can buy tickets via ticketweb or on the door. Next PostNext A serious flaw with the standard SIZR model of zombie infection.